Sony has extended its range of A-mount interchangeable lenses with three new models to meet the needs of the most demanding enthusiasts and photo professionals. The 70-400mm F4-5.6 G SSM II and Carl Zeiss Planar T* 50mm F1.4 ZA SSM lenses are designed to complement the imaging capabilities of Sony’s full-frame α99 SLT (Translucent Mirror) camera. 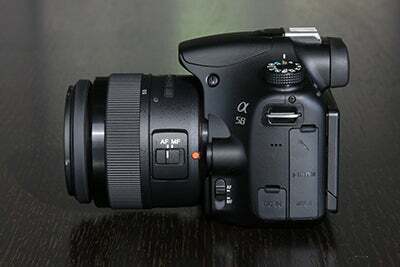 While the DT 18-55mm F3.5-5.6 SAM II is a light, compact 3x zoom that’s an ideal partner for A-mount cameras with APS-C sensors. 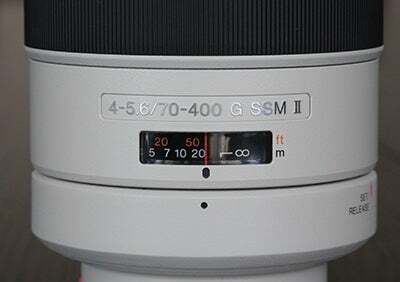 Sony’s G lens line-up is strengthened for 2013 with the revised 70-400mm F4-5.6 G SSM II. Designed to capture wildlife and sports subjects, the upgraded super-telephoto zoom builds further on the premium performance of its predecessor with enhanced optics and faster, more responsive autofocus. With its new LSI drive circuit, autofocus speed of the SSM (Super Sonic Wave Motor) is around four times quicker than before. Teamed with enhanced tracking AF, the upgraded lens is now even more suitable for capturing stills and Full HD video of fast-moving subjects. While its optical design is carried over from the previous model, the new-generation lens features Sony’s proprietary Nano AR Coating on optical surfaces. Offering around five times the efficiency of conventional anti-reflection coatings, this advanced technology reduces flare and ghosting, for exceptionally high-contrast images. Featuring eight elements in five groups, with two aspherical elements, the brand new optical design is optimised for superb results with Sony’s full-frame α99. Exceptional resolving power and contrast at all apertures are teamed with smooth, quiet autofocusing and a rear-focus system that maintains the same lens body length during AF. While the dust- and moisture-resistant design extend the appeal of the new lens to a wide range of outdoor shooting applications. Boasting second-generation styling, this new lens succeeds the popular DT 18-55mm F3.5-5.6 SAM that was introduced in 2011. The light, compact 3x zoom lens covers a frequently used range of focal lengths, from wide-angle 18mm to standard 55mm (35mm camera equivalent range: 27-82.5mm). While retaining the same smooth AF motor (SAM) as its predecessor, newly-designed rear lens elements suppress flare and ghosting, while mechanical elements have been upgraded for a more positive, comfortable operation. 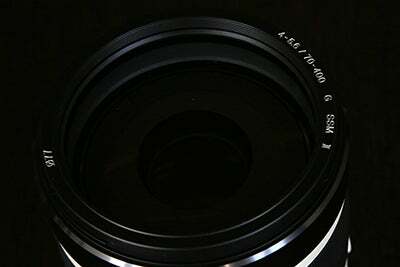 The new Sony lenses and accessories will start to become available in the UK from March 2013.